For a limited time, EEBA is offering a deep discount on the 2019 High Performance Home Summit. 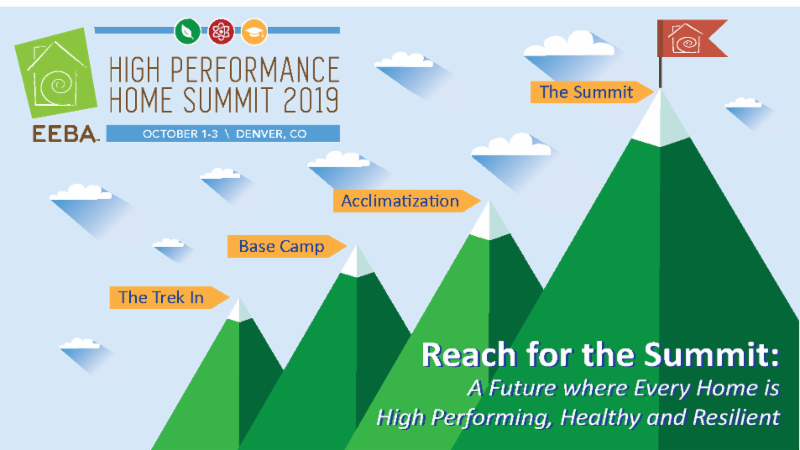 From October 1-3 builders, architects, educators, manufacturers and energy geeks from around the country will descend upon Denver, Colorado for the 37th Annual High Performance Home Summit. EEBA is offering a 25% discount on the already reduced rate - but only through Earth Day, Monday, April 22nd! Our host hotel will be the Embassy Suites Denver Downtown. It is conveniently located less than a mile from Denver Union Station which easily allows you to hop on the light rail from the airport for $10.50 and be downtown in about a half hour. And need we say more than “Denver”? The mile-high city, a place where the sun comes out more than 300 days a year, a mecca for outdoor enthusiasts, and the producer of some damn good craft beer. Arrive a day early for the EEBA conference, or stay a day late (or both!). Hop on a bike share and ride along the river and enjoy the sunshine, food, beer and scenery Colorado has to offer. Take a stroll down to the Contemporary Museum of Art or the Denver Botanic Gardens or jump in an Uber and head over to a nearby golf course for a round. Don’t miss this year’s event and your chance to spend some time in the mile high city, catch up with industry friends, and deep dive into many topics surrounding energy efficiency and high performance homes! This weekend, students from 47 teams from around the world will compete in the U.S. Department of Energy’s Design Challenge. 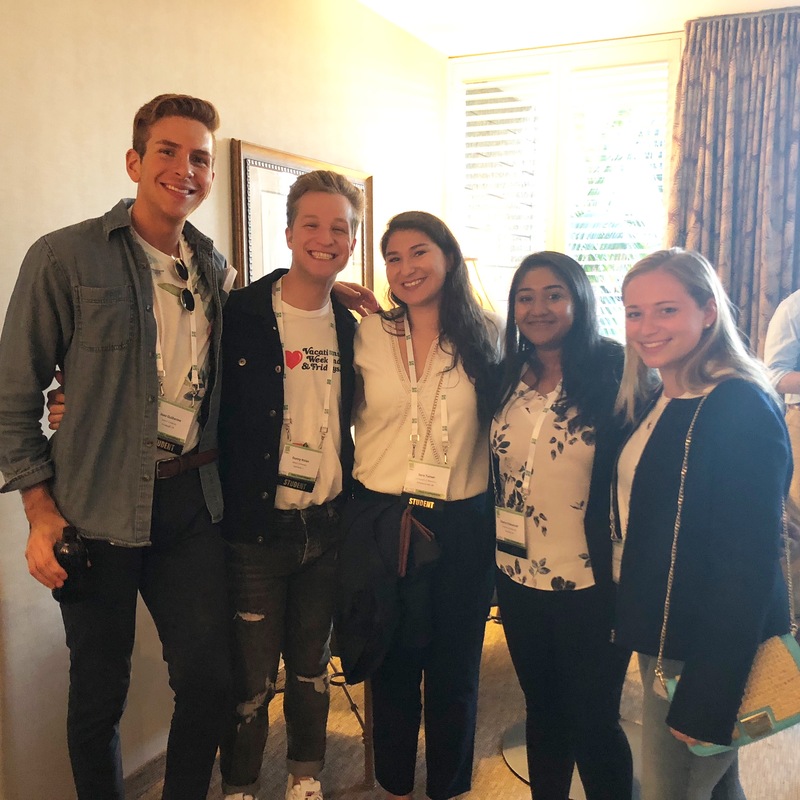 The National Renewable Energy Laboratory will be abuzz this weekend, April 12-14, 2019, as hundreds of students descend upon Golden, Colorado for the U.S. Department of Energy (DOE) Solar Decathlon Design Challenge. 38 colleges will be represented from around the world including Saudi Arabia, India, Germany, Panamá, England, and Brazil will join teams from the U.S. in this highly competitive event. Competing teams will have spent 1-2 academic semesters creating solutions for real-world issues in the building industry. Teams will present their designs to a panel of industry experts in one of six building type categories: Suburban Single-Family, Urban Single-Family, Attached Housing, Mixed-Use Multifamily, Elementary School, or Office Building. Innovation, cost-effectiveness, time to build, quality, resilience, grid-interactivity, efficiency, and local responsiveness are all areas in which each team will be judged. A winner will be chosen in each category, in addition to an overall Design Challenge Grand Winner. As we look forward on housing demand, how can we use what we’ve learned in energy efficiency over the years and apply it to the future of the building industry? When I take a look around the construction industry today, I admit I’m pretty surprised if a builder has not implemented some kind of energy efficiency standards into their building practices. Of course, this was not always the case. The emergence of many of the energy efficiency programs in the 80’s and 90’s were a direct result of the energy crisis in the 70’s. Policymakers in Washington were motivated by a new level of environmentalism as efforts were made to reduce America’s dependence on fossil fuels. A specific challenge drove the industry to work on solutions. And even with the strides that have been made in the energy efficiency sector, it still remains far from perfect. But that’s what progress is all about, right? It’s solid, incremental changes, and constantly pushing the bar higher. So what does all that have to do with energy efficiency? Everything. When you have a monthly housing budget that comes with an inconsistent energy bill, it can be unnerving. Applying practical, energy efficiency standards helps make housing more attainable, but alone, isn’t enough to deal with the growing affordability gap. Off-site construction methods (volumetric, panelized, etc.) have increasingly come into sharper focus as a viable solution for the housing attainability crisis. But with that, we need to take what we’ve learned over the last 40 years in the energy efficiency sector and figure out how to utilize factory methods to make off-site constructed housing as efficient as possible. And we need not stop at energy efficiency. With factory methods, we have an opportunity to utilize technology, and its data, in a way that has never been done before. 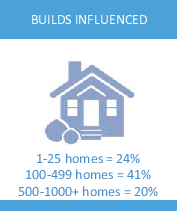 For the foreseeable future, builders will be looking at HOW they build (off-site) relative to WHAT we build (energy efficient and sustainable products). Off-site construction affords an opportunity to rethink energy efficiency. The National Renewable Energy Lab (NREL) recently announced a 3-year project where they will be partnering with Factory OS (Mare Island, CA), Vaughan Buckley Construction (Philadelphia, PA), and Full Stack Modular (New York) to look at how to maximize energy efficiency in the factory process. In addition to partner-factories, the project is also forming an Advisory Board whose purpose will be to provide guidance and technical support for the project as well insight and support for the development of modular industrialization standards that will be shared with other industry players. Members of the Advisory Board will include players from technology integration, data/software, systems, building envelope, site assembly, automation/advanced manufacturing, codes, and standards. If you’re interested in learning more about the project or the Advisory Board, contact heather@brandhmarketing.com or colby@miginnovation.com. 1Joint Center for Housing Studies of Harvard University 2017. As various states around the country amp up the use of renewable energy sources, the structure of the electricity grid will continue to morph into a system that sustains more and more automation. 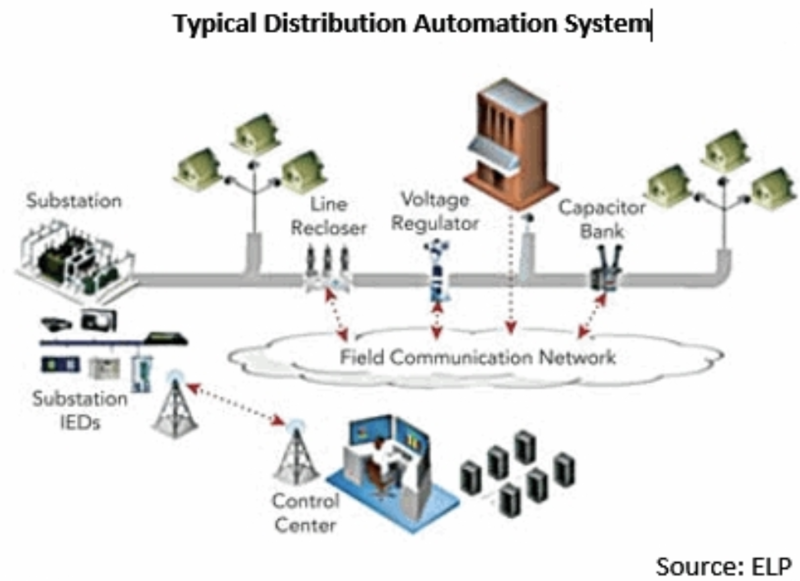 Distribution automation (DA) technologies surrounding smart grids have been around for a while and are continuing to advance as energy systems are increasingly being inundated with distributed resources. The increase in natural disasters creates a greater need for grids that are resilient in extreme weather events, making the need for distribution automation even more important than ever. Designed to help predict energy demand and mitigate issues on the grid, DA brings together software, sensors, and switches, integrating diverse sources of electricity and identifying when events such as power outages occur. 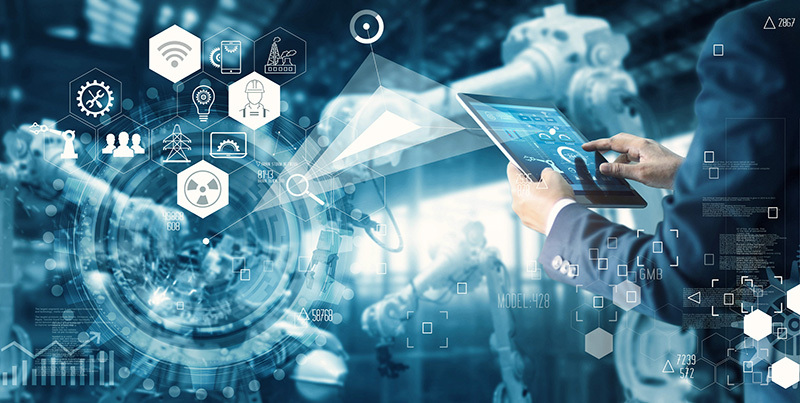 As we plunge deeper into the fourth industrial revolution we’ll continue to see more and more energy automation as we shift from the simple digitization seen in the Third Industrial Revolution, to technology that will force companies to collaborate and reexamine business-as-usual. What interesting trends or innovations are you seeing in distribution automation? Ongoing education is essential for keeping up with what's going on in your industry, and not getting stuck at that blinking light. Back in 2013 I was working on a project in Tucson, Arizona. One day as I was driving around town, I got into a left turn lane on a green light and waited for an opening. To my surprise, the light went from green to a flashing yellow arrow - something I had never seen before. Cars were honking behind me and I just sat there while the light turned red. If you’re judging me right now, go ahead. To my defense, I grew up on an island that had ZERO stop lights and only a handful of stop signs. I later discovered that the Federal Highway Administration had passed some type of ordinance in 2009 “authorizing the use of flashing yellow arrows nationwide.” And just so you know, there are areas in SW Louisiana that JUST made the switch in late 2018. Later that same day while reflecting on that incident, I knew I should have instinctively known what to do on that flashing yellow light. But it also made me think...driving is something I did almost every single day but I hadn’t studied or read up on the changes in driving laws since Driver’s Ed (over 20 years earlier at that time). I wasn’t as knowledgeable as I should have been. Many of you reading this might agree with that statement. While we’ve seen energy efficiency become more and more standard over the years, there is still an enormous opportunity to educate our industry. 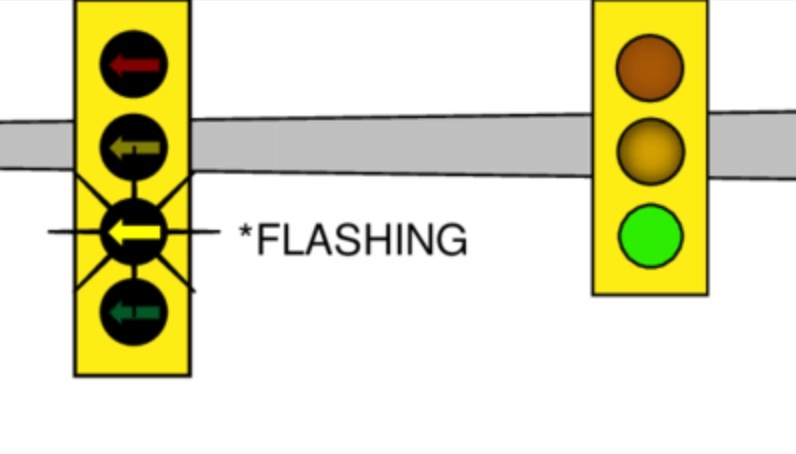 I didn’t study up on the changes in traffic lights back in the day, but I do wish I had had someone there to walk me through that flashing yellow arrow. 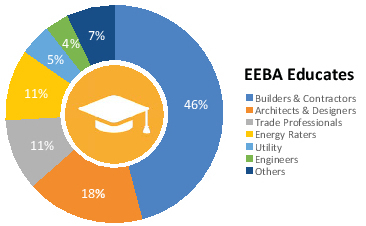 With a mission “to advance and disseminate building science knowledge in the residential new construction community via education and collaboration,” learning is the very core of what EEBA is all about. So the next time you’re attending an educational event, consider bringing along a builder or other industry professional who might benefit from what you’re learning. Or, offer yourself up as a free resource for people who are wanting to become more knowledgeable in a particular area you have expertise in. Let’s get that 10% lower and help guide someone through their flashing yellow arrow. Support high-performance home education and connect with valuable decision-makers with an EEBA sponsorship. As we head into 2019, we reflect on the privilege of being a part of educating a diverse, talented group of high-performance building decision-makers who populate the EEBA community. It’s the analysts, architects, engineers, energy raters, and building trade professionals whose combined knowledge and hunger to collaborate and learn that help to shape legislation, codes, and energy efficiency standards. “EEBA has introduced new, innovative solutions to keep our homes on the cutting edge of energy efficiency, sustainability and technology in an intimate and informative setting that far surpasses that of other builder events,” says Craig North of Tim O’Brien Homes. A recent survey showed that 98% of professionals who attended an EEBA educational event, planned to implement lessons learned from a particular session. 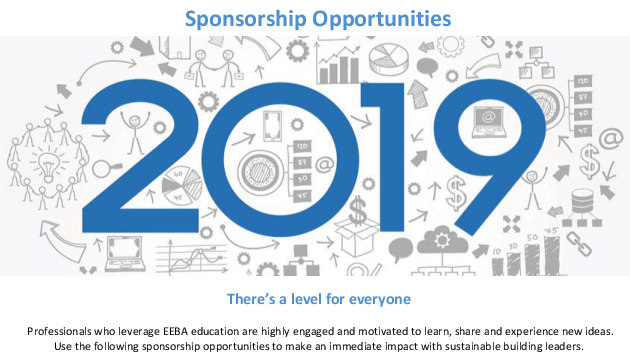 EEBA is proud to promote the advanced education of individuals in the following fields and is offering a few different sponsorship categories for 2019. The Platinum level sponsorship offers the opportunity to participate as a National Education partner and includes product category exclusivity, four scholarship seats at every regional training event in 2019, 3 host sponsorships, full Summit participation with exhibit space and a private studio, increased brand visibility, and digital marketing opportunities. The Gold level is a Regional Education sponsorship and includes 2 host sponsorships, 4 scholarship seats at 6 regional training events, full Summit participation with exhibit space and a private studio, increased brand visibility, and logo inclusion in marketing materials at regional events. And the Silver level sponsorship gives companies or individuals the opportunity to become a Local Education Supporter. Sponsors at the Silver level receive 2 host sponsorships, 4 scholarship seats at those events, and logo inclusion in marketing materials at local events. CLICK HERE for more information and contact nancy@eeba.org or cristen@eeba.org to help create the pathway for future building science education. With about 6 weeks left in 2018, the EEBA staff reflects on the year and expresses thanks and gratitude. What a year it has been! I think most of us can agree that 2018 has had its share of industry ups and downs, but there are many things for which to be grateful. 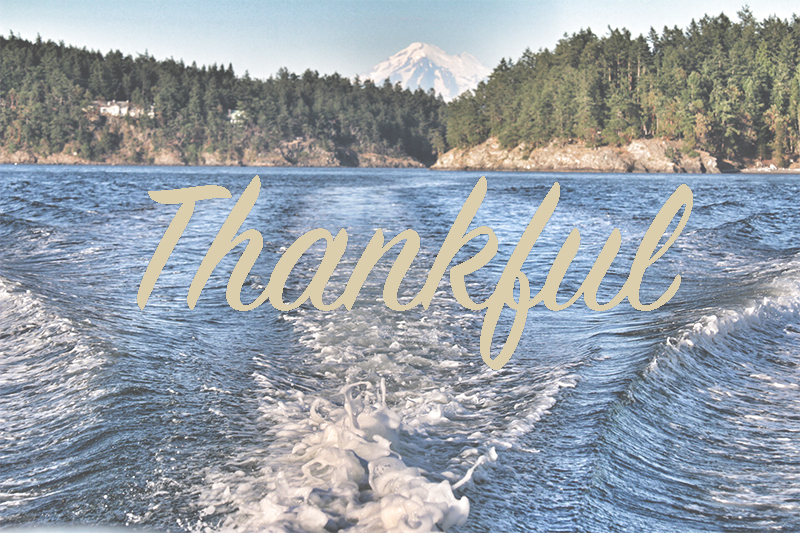 In this week of Thanksgiving, the EEBA staff takes a moment to convey what they are most thankful for. “Reflecting back on this year, I am truly thankful for the inspiring leadership of our President Gene Myers, whose time and dedication to EEBA have been invaluable, and for our incoming President, Geoff Ferrell, for stepping up and taking on this important role. I'm grateful for a very good year for EEBA, including a highly successful Summit, the many training events we've held across the country, and the partners, presenters, sponsors and board members who make it all possible,” says EEBA Executive Director, Nancy Bakeman, who has both professional and personal topics for which to be thankful. Finance Director, Cristen Burrell, recognizes the progress the high-performance industry has made in the last 15 years and is thankful for greater public awareness and understanding that better homes are available. Wishing all our friends and colleagues a wonderful holiday season with their loved ones, and know that all of us at EEBA appreciate each and every one of you! A Canadian design-build team proves that energy efficiency is attainable, even in cold climates. Building a hyper-efficient cold-climate house 40 minutes outside of Ottawa, Ontario, Canada, in Gatineau Hills, had its own challenges because of the climate and the nature of the location. Add in the standards required for Canada Green Building Council’s LEED v4 certification, and the challenge is amplified. The resulting 1,552 sq. ft. passive solar home, where a visitor to Gatineau can rent a room and stay in, costs less than $250,000 to build, and energy bills were estimated to be less than $1.40/day, compared to a new home of comparable size that uses around 10 times more energy. To meet the stringent demands of LEED v4, Cosgrove and Reynolds used an array of DELTA® brand products from Dörken, together creating an airtight building envelope. Fully adhered DELTA®-VENT SA, a vapor-permeable, self-adhesive, water-resistive air barrier for commercial and residential use, was used as the primary air and water-resistive barrier and helped the home pass difficult blower door test standards. DELTA®-FLORAXX was used as the water retention and drainage component of the green roof and helped reduce the need for irrigation, while also helping to cool the building in the summer through transpiration. DELTA®-VENT S served as the secondary moisture barrier and was installed to the exterior of the continuous stone wool insulation, providing additional airtightness, protection from moisture ingress, as well as insulation protection from wind-driven rain. DELTA®-MULTI-BAND tape helped ensure that every lap and detail was sealed tight. It also played a critical role in maintaining an airtight building, along with a vapor-tight one because it was used to seal the interior vapor barrier. The Edelweiss House was completed in 2015, and was only the second in the world to reach the rigorous Platinum level for LEED v4. 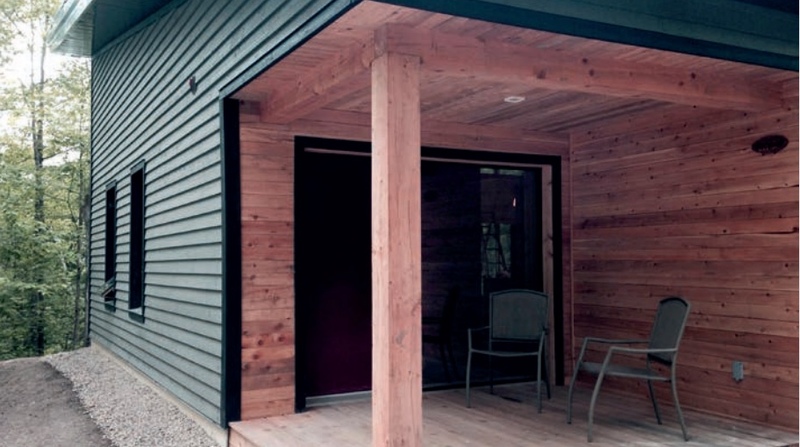 The project really proved that affordable, cold-climate, energy efficient homes are possible.